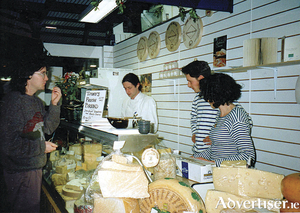 Mexican cuisine has been a food delight that has long pleased the palates of people throughout Galway and Ireland. 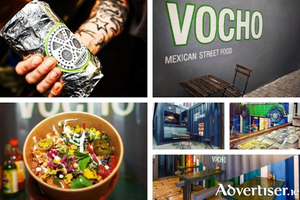 Often including items from every food group, including protein, grains, and vegetables, Mexican dishes are as healthy as they are delicious and for those who adore the food, there is good news with the opening of Vocho; a restaurant which specialises in Mexican street food. Big wins for Galway hotels at the third annual Hotel Awards! 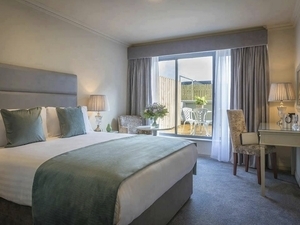 The third annual Irish Hotel Awards were held on the 8th April 2019 in the Galmont Hotel in Galway City. Representatives from the hospitality industry across Ireland came together to celebrate the achievements of an ever-growing and thriving industry. A Gin-spiring evening of Gin & Sin at Dillisk on the Docks – Thursday April 18th at 7:30pm. 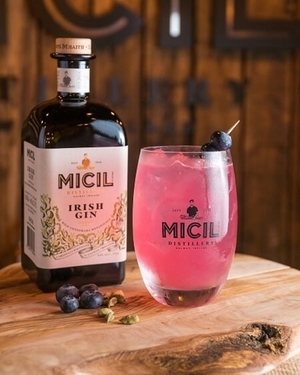 Gin fever has hit Dillisk on the Docks and we’ve teamed up with Micil Gin to bring you a night full of Gin cocktails & Sinful canapés and desserts to perfectly compliment Micil Gin, native to Galway. Arrive to your first gin of the evening, accompanied by savoury canapés designed to tantalise those taste buds before moving onto your first of two gin cocktails, paired with sumptuous sweet dessert sins designed especially for the evening by Dillisk’s very own Chef, Patrick Anslow. Aiden Leonard has been named as Best Restaurant Manager in Galway at the Connaught Restaurant Awards. Galway Irish Crystal has long been recognised as one of the world's best known and loved Irish crystal brands. Each piece of Galway Crystal is inspired by the rugged beauty of the local landscape and by the wealth of folklore and ancient history along the west coast of Ireland. Visitors to the factory can now call in to Poppyseed, a new café and restaurant on Galway’s east side above the Galway Crystal factory shop on the Old Dublin Road. The interior in this expansive cafe reflects the heritage of the building, deep chairs are upholstered in arresting shades of magenta, mustard, and floral prints. The botanical theme continues on the prettily printed teapots, cups and saucers. The décor is vibrant, chandeliers hang from the ceiling and deep Chesterfield sofas abound. Nothing announces the arrival of summer quite like a barbecue, so why not arrange a summer celebration with a difference this year. The Veranda Lounge at The Galmont boosts an outdoor terrace overlooking Lough Atalia and Galway Bay, providing the perfect venue for a summer celebration. The Ardilaun Bistro as part of The Ardilaun Hotel, a well known and much loved Galway landmark hotel, has introduced new seasonal menus. The popular hotel, known for its service, family-run warmth, and stunning location and grounds, with free parking, is the perfect stop for eating out. Located on leafy Taylor’s Hill, The Ardilaun is one of Galway’s longest standing hotels and has been serving some of the finest food in the city for the past 57 years. The Ardilaun Bistro is perfect for all occasions from casual dining to special celebrations, with a relaxed and inviting atmosphere from day to night. 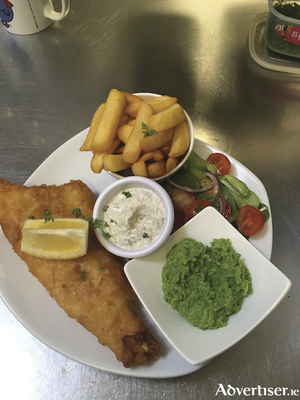 Hot food is served from the all-day menu from 12 noon to 9pm. The Ardilaun kitchen is headed by award winning Michelin Star chef Ultan Cooke, and the bistro’s seasonal specials change daily to make the most of the freshest produce and include delicious fish and roasts of the day, power salads, soups, and sandwiches. 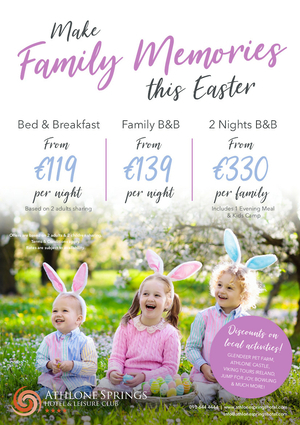 Considering getting away for the Easter break at Athlone Spring Hotel. Bia Blas Cafe is located in the Sheep and Wool Centre in the picturesque village of Leenane on the Wild Atlantic Way. Its position on the edge of the Killary Fjord — Ireland’s only fjord — means diners are guaranteed a view like no other. 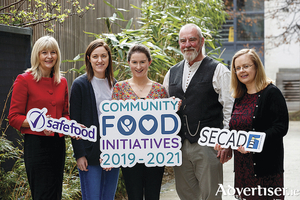 A Galway city community food initiative is one of 14 projects awarded funding from safefood for the 2019-2021 Community Food Initiatives (CFIs) programme. Galway City Partnership aims to promote healthy eating and overall wellbeing for families across the city. Joyce’s Supermarkets is the first store in the west of Ireland to stock the Simply Fit Food range of meals. These are performance based, healthy meals which make healthy eating easier and more convenient. Simply Fit Food was set up by two fitness fanatics who loved healthy eating but found it hard to find an on-the-go option. They have been a massive hit with Joyce’s customers, who love the hassle free and super tasty options in the range. I will admit straight off that I am no stranger to making myself at home in The Ardilaun. You cannot beat it for location in leafy Taylor's Hill. It is intimate and friendly, the hotel lobby is like a gigantic comfy sitting room. As far as the food goes, this hotel has it covered from morning to night. It comes as no surprise that the menus in The Ardilaun are a cut above the usual hotel fare. 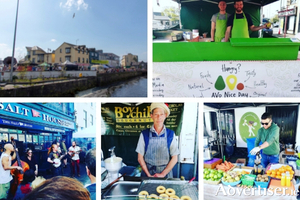 In the historically significant heritage town of Athenry, there are a lot of dining options. You can get Italian, Chinese, Indian, or any amount of modern Irish. It wasn't always this way. The original place to go was the New Park Hotel, and it still is a stand out destination for people travelling through the town. Celebrate St. Patrick’s Day with a delicious traditional recipe from Bord Bia. Showcasing the best of Irish ingredients, this smoked salmon with boxty pancakes and soured cream is the perfect manner in which to celebrate the national feast day this weekend. Boasting wholesome and flavoursome ingredients, this recipe, which serves four, is certain to be a warm tasting favourite for all the family and makes for a great brunch or lunch dish. Hotel Meyrick has long been recognised as a home of afternoon tea in Galway city. As spring arrives, treat yourself to the ultimate indulgence and a little time out from the real world. 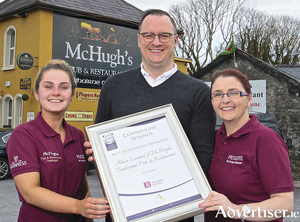 From a converted bike shed to a thriving bakery in the west of Ireland, accidental entrepreneurs Siobhan and Paul Lawless won the Food and Drink category at the SFA 2019 awards last week. St Patrick’s Day is almost here, and Iceland has an array of big value offers on Irish favourites in-store now to help you celebrate.